Cowboy up! 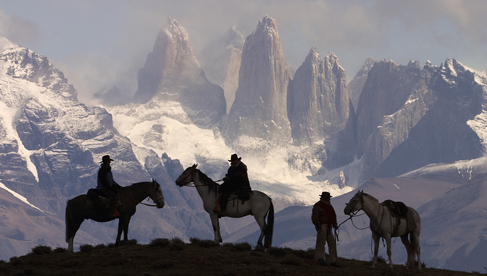 Selected by National Geographic Traveler magazine as one of "50 Tours of a Lifetime," The Last Frontier horseback riding vacation by Chile Nativo gives you time to experience seven Patagonia estancias in the surrounding areas of Torres del Paine and Bernardo O’Higgins National Park. 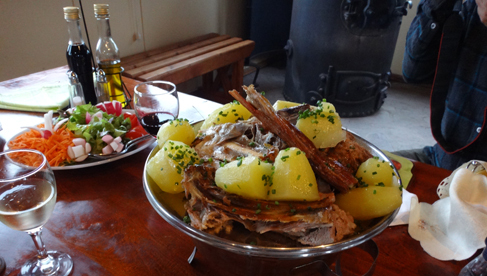 You will enjoy the estancias' homey feeling and comfort as you share a delicious lamb barbecue cooked in thePatagonian style with local people. 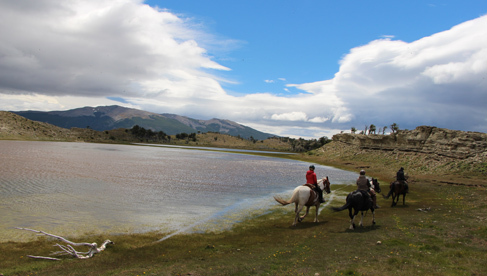 Highlights include outstanding views of the famous towers, four glaciers, Lake Sarmiento and the opportunity to gallop along the magnificent prairie areas called Pampas. 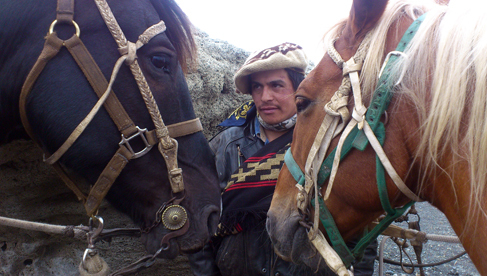 This is a unique chance to live the freedom of this vast terrain with a strong Criollo horse. 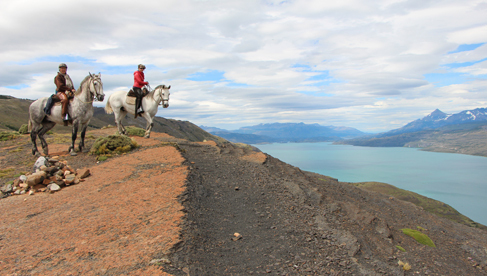 This challenging and one of a kind riding holiday allows you to experience one of the least visited areas surrounding the Torres Del Paine National Park, declared a UNESCO biosphere reserve in 1978. It is the most spectacular park in Chile and Patagonia. 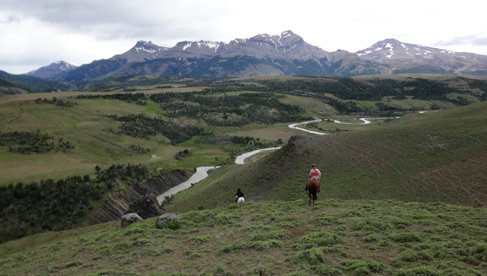 Learn more by checking out The Last Frontier Riding Vacation Itinerary and Trip Details. 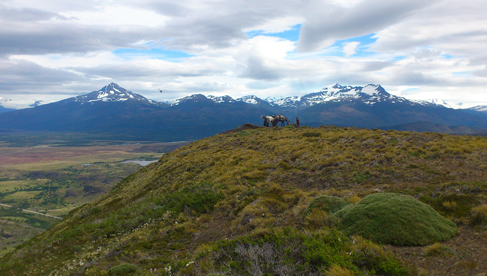 Read a travel review of Chile Nativo in Chile on Horseback- A Very Different Patagonia. 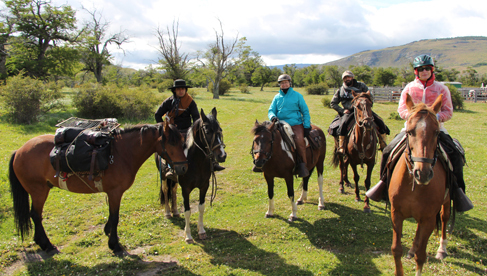 This 4 day riding vacation gives you time to experience the life in Patagonian estancias surrounding areas of Torres del Paine National Park, plus the comfort of a modern hotel in order to visit Glacier Grey. 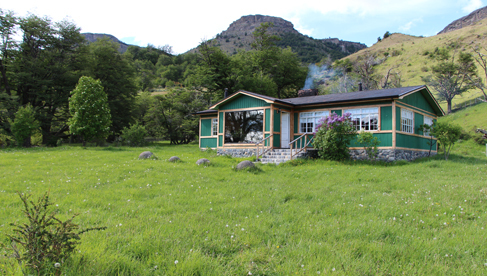 Join the upcoming Patagonian Estancias vacation Dec 6-11. 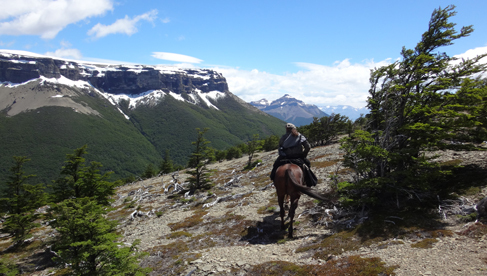 Leave Torres Del Paine in a new and different way; a 2 day horse ride takes you from Torres Del Paine to Bernardo O’Higgins along a relatively unused trail, through woods, via lakes, rivers and glaciers; finishing with a boat trip down the famous Sound of Last Hope. 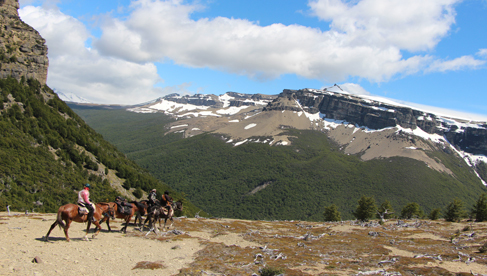 A real experience for your horse holiday in Patagonia. 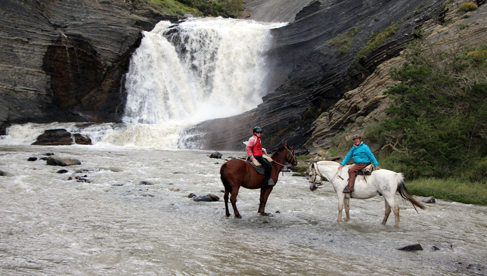 If, for most of your life, you have ridden horses, this could be one of your next adventures. 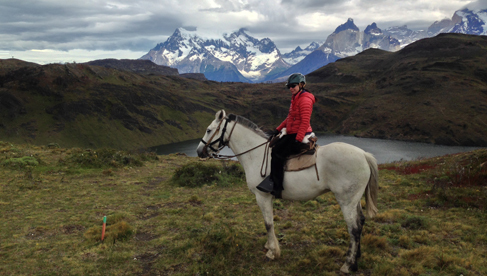 Six hours riding, on average, per day during 6 days trekking inside Torres Del Paine and Bernardo O'Higgins National Parks. You'll visit 4 different glaciers accompanied by charismatic gauchos, who will make this journey full of laughter, while you listen to their endless tales and experiences. 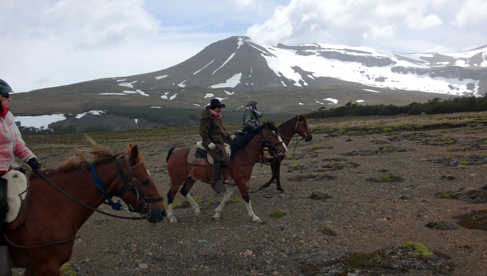 A fascinating horseback riding holiday crossing the Andes from the virgin steppes in Argentina to the Valdivian forests in Chile. 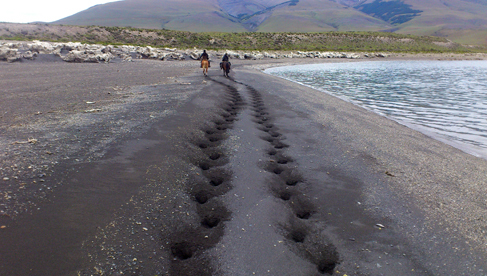 A unique eleven days riding vacation where Creole and Chilean horses will take you along estancias and fundos crossing endless pampas, green forests, and clear rivers. 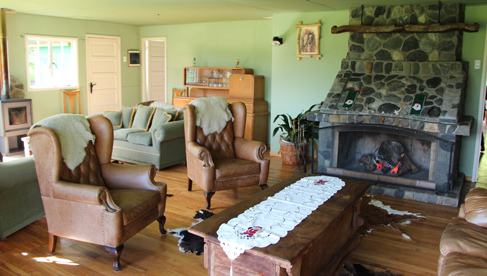 Guest stay most nights (5 nights) in comfortable estancias, working ranches, with private rooms with central heating and private bathrooms with hot water. For a few nights, you'll stay in Gauchos’ huts (3 nights), warm and cozy huts in the middle of nowhere where you will have the chance to experience life with the locals. You'll stay in shared rooms (bunk bed style), with no facilities. If you would like more privacy, Chile Nativo can provide a tent. 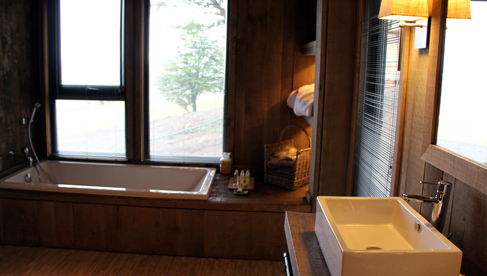 Guests also stay in a 4-star hotel in the center of Torres del Paine National park for two nights, plus two more nights in 3-star+ hotels and one night camping on this riding holiday. 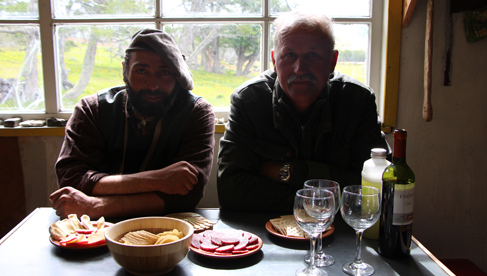 Food consists of locally grown, organic vegetables from the estancia greenhouse, organic lamb, fresh salmon, homemade bread, tomatoes, plenty of avocados (everyday for packed lunch), fruits of the season, real coffee, tea, fresh milk, yogurt and trail mix. You will ride an average of six hours per day–– three hours in the morning, then a rest to enjoy lunch and three hours in the afternoon. 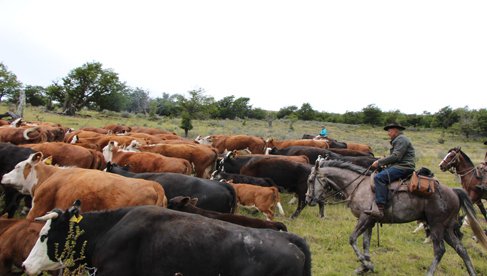 Puerto Natales, Torres del Paine National Park, glaciers, rivers, lakes, local lifestyle at the ranches and more in Patagonia, Chile. 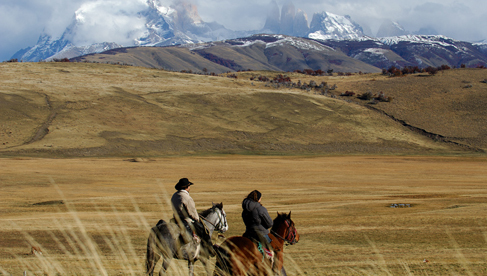 Check out the most up to date rates, departure dates and itineraries for Chile Nativo's diverse riding vacations.